Q: What is the point of having a curriculum? A: “I think there’s not only no point in it, but that it does incredible harm. It turns the teacher into a technician whose job is to hand out facts, not someone who’s in a human relationship with students, someone whose job it is to help students develop their interests and minds. 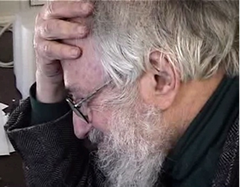 Cody, S. & Greene, C. (1995) Interview with Seymour Papert entitled, “Learning through Building and Exploring.” In Multimedia Today, v3 n4 p30-39 Oct-Dec 1995.